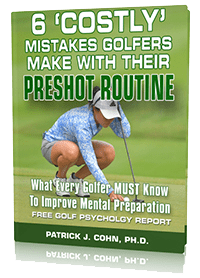 In “Sports Psychology Sessions with Doc,” Dr. Patrick Cohn answers a question from Megan about her approach shots. Do you struggle with your approach shots on the golf course? How do mentally prepare for those shots? How you can mentally prepare for your shots by working on your preshot routine. You need to decide whether there are any limiting beliefs/expectations around what is limiting your approach shots. Do you feel you have some generalizations that you can’t perform these shots?